So who fancies an all you can eat breakfast deal for less than £5? Well you can count us in! 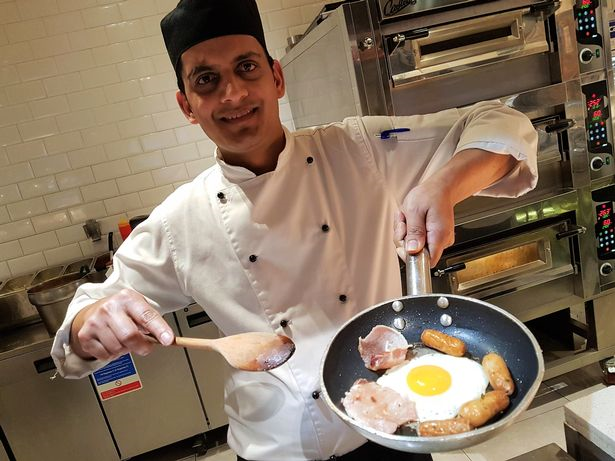 As of 21st January, COSMO Authentic World Buffet Manchester on Deansgate will be serving breakfast from 7am until 10am and it’s just the thing for a city that never sleeps. At COSMO’s Breakfast Club in the heart of Manchester you can recuperate after a night out with a hearty weekend breakfast, or set yourself up for a busy day in the city centre with some hash browns and baked beans. You can also add tea, coffee or choose from a range of fruit juices for an extra 51p. Whether you want a classic full English with all the trimmings or fancy sampling crunchy onion bhajis evocative of a South-East Asian-style curried breakfast, the choice is yours. Carnivores will be in their element with delicious sausages and bacon but there are plenty of equally delicious vegetarian options, including tomato provencal, hash browns and mushrooms. Meanwhile if you’d like something lighter you have the option to enjoy an elegant continental breakfast of croissants, butter and jam, a bowl of muesli, or tea and toast made with a choice of white or brown bread. On the other hand, visitors with a sweet tooth shouldn’t miss the French toast and lavish pancakes with a delicious choice of toppings: chocolate sauce, strawberry sauce, maple syrup and (of course) sugar. At COSMO we know that some of our customers are night owls. That’s why we serve a range of hearty foods aimed at those who work night shifts – including coleslaw, jacket potatoes, chips and garlic bread, with salad on the side – alongside our breakfast buffet. These are also bottomless and cost the same amount as the standard breakfast deal. And if a bottomless English breakfast isn’t quite to your taste, you can always stop by later in the day for the best all you can eat buffet in Manchester. COSMO Authentic World Kitchen serves over 160 expertly cooked dishes from around the world – this amounts to more than 60 metres of delicious pan-global cuisine. Combine succulent meat from our English carvery with crispy roast potatoes and local specialities such as a rich and warming Lancashire hotpot, or sample delicate teppanyaki seafood at our Japanese cooking station. We truly have something to delight everyone. And when you’ve finished your main course, round off your meal by choosing between 12 metres of desserts, puddings and other decadent treats, including a double Swiss chocolate fountain. 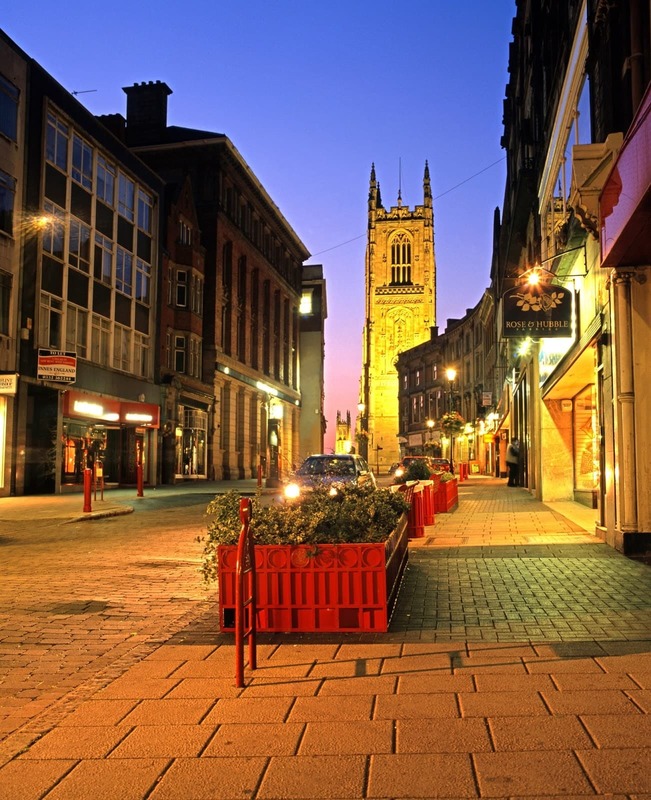 Are you planning a trip to the historic market town of Doncaster in South Yorkshire? Here’s a list of some of the best places to eat there. From wholesome vegan and vegetarian treats to a global buffet with dishes from around the world, there’s something for everyone. If you love Mediterranean food you won’t be able to resist this authentic Turkish restaurant. Lalezar Barbecue and Meze Restaurant offers a diverse menu of Turkish cuisine, from shish kebabs made with fragrant marinated meat to grilled Cypriot cheeses sprinkled with pomegranate seeds. There are also plenty of equally delicious plant based options. Vegetarians should not miss the unbeatable imam bayildi – a sumptuous aubergine stuffed with onions, pine nuts, mushrooms, peppers and blackcurrants – and vegans will no doubt enjoy some of the best falafel and hummus they have ever tasted. Enjoy a classic afternoon tea at The Village Teapot. This friendly tea room in Arksey is family-owned and run by two sisters – Sarah and Kate. Serving locally-sourced food and drinks, you can choose from a delicious range of sandwiches, home made cakes and scones baked by Kate. With hot food all made fresh every day on the premises, there is even a menu just for little ones. If you’d like to enjoy a banquet of foods from around the world and watch the spectacle of them being cooked fresh before your very eyes, it’s time to pay a visit to COSMO Doncaster’s all you can eat buffet. You’ll be spoilt for choice with a whole range of food from around the world on the global buffet menu, from a sophisticated deli platter of Mediterranean olives, cheese and charcuterie to a classic English roast. For the best possible value, pay a trip to COSMO between midday and 3:30pm, as you can enjoy a delicious lunch for just £8.99 from Monday to Friday. If you’ve got little ones with small appetites, it’s no problem. At COSMO, kids under 150cm tall eat for half price every day of the week. COSMO Doncaster is also extremely easy to get to. 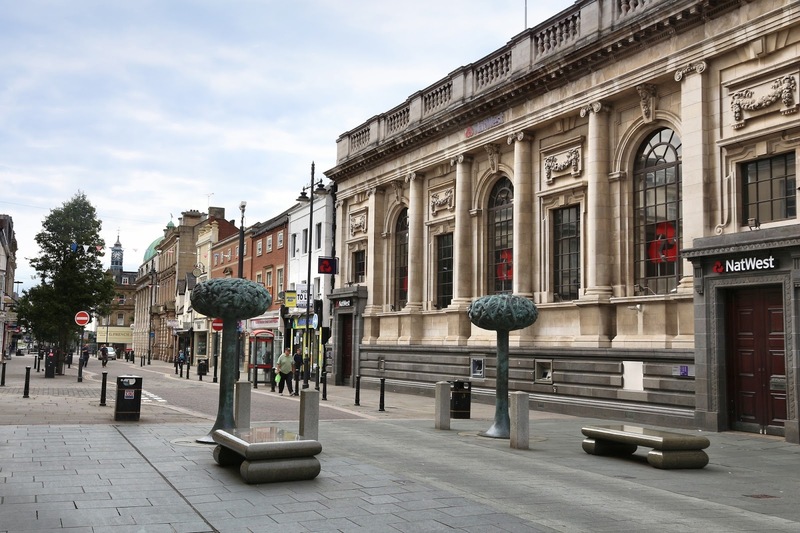 Located in Frenchgate shopping centre in the very heart of the city, you can visit for lunch then resume your day out, all without leaving the centre of Doncaster. If you like cheese, you’ve come to the right place by making a trip to Doncaster. You’ll find some of the best cheeses in Doncaster at The Chuckling Cheese Company. This authentic artisan cheese shop is located at the Hillstreet centre and sells delicious – and very reasonably price – cheeses, along with chutneys, sweet treats like homemade fudge and a whole range of alcoholic and non-alcoholic drinks to round off the experience. The Chuckling Cheese is a haven where you can sample countless varieties of authentic Yorkshire cheese, then take your favourites home. From the Wensleydale cheese that Yorkshire is famous for to unusual flavours like horseradish and caramelised red onion, plus curiosities like cheddar infused with real charcoal, there’s a cheese here to suit every person as well as every palate. From Yorkshire puddings and pikelets to the iconic Wensleydale cheese, Doncaster isn’t well known for its plant-based diet, but vegans need not worry – you can pay a visit to The Greenhouse Eatery for a truly delicious and ethically-sourced vegan experience. The Greenhouse serves dishes like jerk ‘chicken’ and cauliflower couscous or mushroom and walnut bourguignon that will delight vegans, vegetarians and omnivores alike and the atmosphere inside the eatery is warm and friendly. If you have any food intolerances you’ll also be very welcome as the Greenhouse Eatery offers a whole range of tasty gluten free and lactose free options. If you’ve got room at the end of your meal, make sure to try the deliciously indulgent chocolate orange tiramisu. It really is the perfect treat for a cold wintry evening. 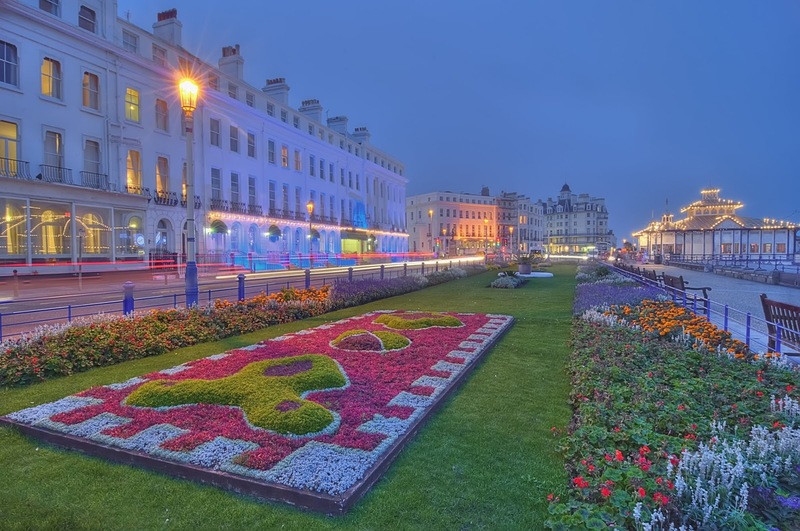 If you’re looking for the best places to eat in Eastbourne, you won’t be disappointed! From excellent vegetarian food to delicious prawn dishes, there’s something to suit everyone’s taste. If you’re a vegetarian or vegan, head to the The Green Almond Vegetarian Bistro, a family run vegetarian and vegan restaurant and cafe located behind the Grand Hotel in Compton Street. The Green Almond’s delicious meat-free dishes – from tasty noodles to delicate Mediterranean-style salads – are complemented by a well-chosen selection of vegan wine, beer and cider as well as good quality coffee and tea for those who aren’t in the mood for a tipple. The evening menu is especially good value, with a three-course meal for £20 per head available on Fridays and Saturdays. If you’re visiting The Green Almond for an evening meal, bear in mind that vegan and gluten free options must be ordered in advance. Don’t worry, vegetarian doesn’t always mean vegetables! Make sure you leave some room to enjoy The Green Almond’s delicious selection of homemade desserts. For a taste of affordable luxury, head to COSMO Authentic World Kitchen. Eastbourne’s most cosmopolitan all you can eat global buffet serves dishes from all over the world, from classic beef brisket to savoury Chinese stir-fries and authentic Indian curries. One of COSMO’s specialities is authentic Japanese sushi freshly prepared by expertly trained chefs. This is your chance to sample juicy king prawns, squid, mackerel, octopus and even eels if you’re feeling adventurous. And if you’ve got room for a sweet treat afterwards you’re sure to enjoy the chocolate fountain, popcorn machine and ice cream fridges. Alongside this truly tempting array of desserts, COSMO also boasts a well-stocked bar, meaning that you can accompany your seafood with a glass of wine or even bubbly for those special occasions when it’s time to treat yourself. Best of all, COSMO’s all you can eat buffet menu means you can eat a delicious lunch from just £7.99 from Monday to Saturday. If you’d like to enjoy an excellent meal while gazing out at the ocean, visit The Channel Restaurant. The atmosphere is relaxed; staff are helpful and friendly and a range of quirky maritime decorations adorn the restaurant. The menu – as you’d expect – consists of plenty of fresh fish, although the meat dishes are equally as enjoyable, with the ‘steak on the stone’ a real highlight. For a true local flavour, don’t miss the chance to round off your meal with a luxurious cheese platter, with fresh cheeses sourced from around Sussex and its neighbouring counties. The staff will only be too happy to suggest a pairing with one of their delicious wines. The Channel Restaurant’s high-quality meals and fresh, locally-sourced produce are also very reasonably priced – you can eat a three-course meal for just £19.95, not including drinks. And if you pay The Channel Restaurant a visit, don’t forget to look up at the ceiling and marvel at their famous quirky teapot chandeliers. If you are looking for an old-fashioned romantic dinner date with candlelight and a piano playing, look no further than the Mirabelle restaurant at The Grand Hotel. Not only does this fine dining restaurant highly regarded amongst food critics and has received numerous awards, but the ambience created in the restaurant is a quiet haven for romantic couples. The restaurant dress code means that the meal won’t be a casual affair; but there is something special in dressing up for the occasion. Chef Malvoisin changes the menus weekly, but examples include delicious appetisers like suckling pig roasted rack and morel panna cotta, main courses such as the marinated halloumi and red onion relish and bulgur wheat couscous and heavenly desserts such as lichu dark chocolate delice and orange parfait with chocolate orange ganache and coconut and passion fruit mousse with kiwi and mango salsa. Dining out with kids in tow can be a challenge. You want to be able to eat and enjoy your food while your kids are happy. The family-run Harleywood American Diner in Eastbourne is ideal as younger children can sit in booth style seating while the adults sit on the outside of the booth to avoid chasing energetic toddlers around the room. The menu offers favourites for adults and children alike such as the huge Superman Burger and some extra large shakes. The decor is part of the fun with giant models of superheroes and the characters from The Simpsons. Are you planning to head to Southampton but you’re not sure where the best places are to eat? From a quick pit stop to a five-course meal, the city of Southampton has plenty of delicious options for everyone to enjoy. That Lovely Little Cafe is every bit as sweet as it sounds. This charming coffee shop is the perfect place for a caffeine pit stop, but don’t be surprised if you find yourself spending a couple of hours sampling the extensive menu alongside your coffee. Although That Lovely Little Cafe has plenty of sandwiches, cakes and quintessential coffee shop fare, it also offers brunches and even roasts on Sundays, with every dish made fresh to order. There’s only one downside – it’s always full. 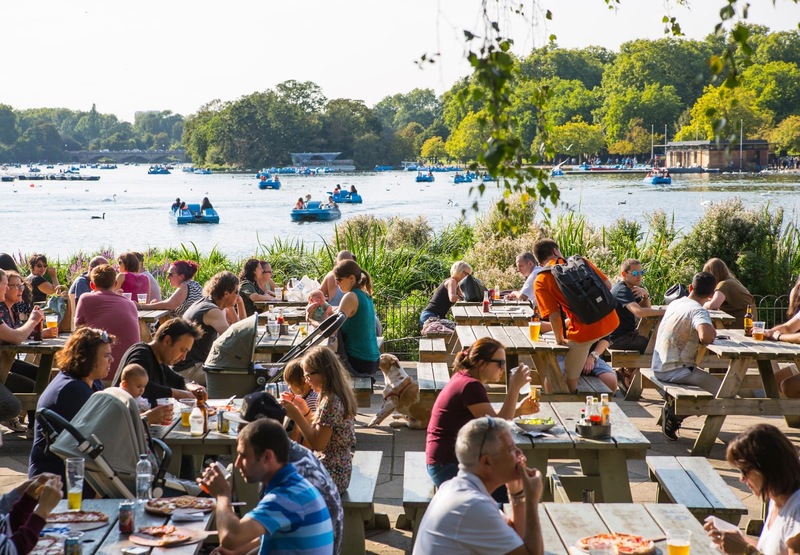 Although you can take your food away (perhaps to the nearby New Forest as a picnic if you’re feeling adventurous) go early if you’d like to stop for lunch and soak up the atmosphere. The Olive Tree cook their impressive array of French-inspired dishes with only the freshest, locally-sourced ingredients, meaning that their fruit and vegetables are always in season and their dishes are full of rich flavours. Seafood lovers in particular will be delighted by the array of fish dishes, freshly caught from local waters. The seafood linguine with mussels, crayfish and king prawns is one of the finest dishes on the menu – don’t miss the chance to sample it. If you’d love a romantic night out for two or an elegant meal with friends, visit The Olive Tree on a Sunday night, when you can enjoy live music. Drink in the culture and enjoy your food with a glass of wine in the flickering candlelight, while a pianist serenades you. For some of the best wood-fired pizzas in Southampton, pay a visit to It’s a Pizza Thing – you won’t be disappointed. This street food truck sells a delicious selection of freshly-cooked pizza, including the famous Meat Feast – a pizza heaped with every conceivable kind of meat and topped with garlic sauce. It’s a Pizza Thing also sells sides of garlic bread along with a range of savoury and sweet (read: chocolate-filled!) calzone. The truck is parked on Adelaide Road just outside the South Western Arms, with which it has an agreement. Order your pizza and head inside the pub to complete your feast with a pint of locally-brewed ale. If you can’t make up your mind what to eat or you are entertaining several guests, there’s only one thing for it. Head to COSMO Authentic World Kitchen, where you’ll find dishes from around the globe cooked in front of you. COSMO elevates the all you can eat global buffet concept to new levels, with dishes from every continent on the menu. Can’t choose between curry with naan bread, a traditional English roast or a Mediterranean cheese platter? You don’t have to! For the truly indecisive, mini versions of all the main dishes are available so that you truly can sample everything. COSMO’s bar stocks an equally wide range of alcoholic and non-alcoholic drinks, so there’s truly something for everyone to enjoy. You know the food must be good when reviews say that the food here is the best outside Vietnam! Pho Vietnam is a a great place to choose for a more unusual meal in Southampton and some authentic pho. This restaurant is a firm favourite with locals and has a huge following of fans and regulars. You can bring-your-own alcohol with a corkage charge, so you can celebrate a special occasion by bringing a bottle of champagne. Choose from flavoursome and automatic dishes such as summer rolls, tender caramelised pork, Vietnamese curry, rice rolls and pancakes and Vietnamese salad. The desserts are equally as popular – the exotic Pandan cheesecake is a favourite. 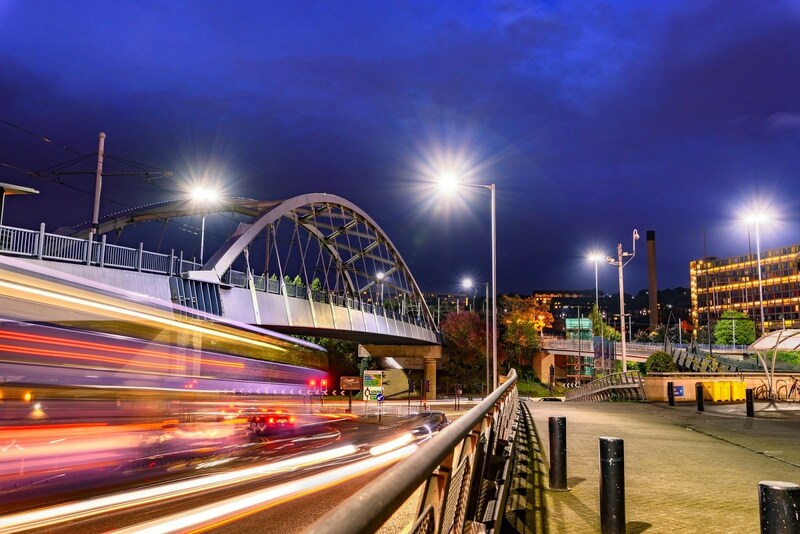 If you’re new to the area or simply looking for somewhere different to eat, Derby offers a choice of cafes and restaurants which are sure to suit every diner. From traditional treats to a truly theatrical dining experience, you’ll be spoilt for choice in the city. Finalists in the 2018 Derby Food and Drink Awards, The Exeter Arms serves pub classics like burgers and chips, fish and chips, deep-fried chicken and steak alongside more unusual dishes such as pheasant risotto and Sri Lankan curry. The menu boasts plenty of twists on gastropub cuisine, including the Derbyshire Tapas Board – a selection of sausage rolls, Scotch eggs, chipolatas in mustard and honey, black pudding, pickled onions and chips, garnished with piquant piccalilli. There’s also a small but impressive selection of vegetarian and vegan dishes on the menu, including the truly show-stopping halloumi avocado burger with sweet potato fries. This is definitely one to book beforehand – The Exeter Arms’ reputation precedes it. Expect a packed pub with a lively, family-friendly atmosphere. A restaurant to make takeaway curry houses pale into insignificance, Anoki is all about delivering a fine dining Indian experience. Housed in the opulent Old Picture Hall – the domed ceiling of which has a truly Eastern feel – the restaurant is nothing if not atmospheric. The staff are clothed in traditional Indian outfits for a truly authentic feel. When your order arrives, it more than lives up to the setting. Fragrant curries and perfectly cooked dishes of succulent meat dressed in traditional sauces of tamarind and mint are guaranteed to delight your palate. Despite the restaurant’s glamour, it doesn’t fail to deliver on English curry staples such as the classic chicken and lamb tikka or seekh kebab, which are served in generous portions. Get there early or be prepared to park some distance from the restaurant – Anoki’s car park isn’t quite as accommodating as its waiters! If you like your meal served with a flourish, head to COSMO Derby. This all you can eat world buffet is located within the former Gaumont Cinema – one of the most beautiful historic buildings in the city. The Gaumont Cinema was first built in 1934 in the Art Deco style and COSMO have taken every care to preserve its character, even keeping the original cinema seats for their guests. Nowadays though, it is COSMO’s team of chefs that wow audiences, with live cooking stations that showcase everything from the quintessential English roast to fresh teppanyaki dishes and delicious desserts. With the entire COSMO experience costing as little as £7.99 for a weekday lunch, COSMO Derby is definitely the place to be. Foodies should head to the ideal opportunity to sample a local treat at the Derby Pyclet Parlour. The pyclet is a flat, free-form pancake made from crumpet batter and loaded with delicious toppings. Traditionally made by working people who could not afford the metal rings necessary to create a thick, spongy crumpet, the humble pyclet has since been elevated to a delicacy in its own right – and you shouldn’t leave Derby without trying one. From luxurious smoked salmon and horseradish cream to goat’s cheese, chorizo and red pepper, there are plenty of pyclet toppings to try, with gluten-free and dairy-free options also available. Those with a sweet tooth shouldn’t miss the chance to sample a pyclet topped with jam or Nutella. The Wonky Table in Derby offers a friendly and relaxed ambience with European-influenced food freshly prepared in their kitchen – with a quirky twist! Try stuffed yorkshire puds or a yorkshire pudding wrap with ‘wonky mushrooms’. They pride themselves in using as much locally supplied produce as possible. Vegetarian options here are creative and abundant like the walnut, hazelnut, and pepper stuffed wellington with melted brie. They even put on regular vegetarian evenings. They also do quirky themed afternoon teas – perfect for birthday parties and hen dos. The Wonky Table also have Winston the Wonky Wagon which is available for private hire and is often seen at local events. For the summer months, the restaurant has a ‘secret garden’ complete with red telephone box and wall murals. Whether you’re on the hunt for some of the best vegetarian and vegan food in the UK, or craving tapas with a locally-brewed craft beer, eating in Sheffield is always a treat. Vegan or not, you’d be crazy to give Make No Bones a miss. The venue alone is worth a visit – housed in the listed building Osborn Works, designed by the famous Sheffield architect William John Hale. There – comfortably ensconced in the building’s pews in the light of a Victorian stained glass window – you can sample some of Sheffield’s best vegan food. Make No Bones is run like a street food kitchen – just walk in, order and sit down. This is the vegan equivalent of a classic burger joint and dishes include Southern fried tofu burgers, paprika-laced potatoes, barbecued corn on the cob and homemade garlic bread drizzled in melted nut cheese. Make No Bones also features a 100% vegan bar, so you can wash down your meal with wine, beer or cocktails – the choice is yours. The birthplace of the UK craft beer revolution, a trip to Sheffield wouldn’t be complete without sampling some of the finest. If you love your ales, head to The Beer Engine on Cemetery Road. Don’t let its out of the way location and unassuming facade fool you. Beer fans will be delighted by the regulars – which include Estrella, Oranjeboom and Bitburger – and the bar is also well stocked with continental lagers and cider. The adventurous should sample their rotating selection of eclectic guest ales. The Beer Engine’s meat, veggie and vegan Sunday roasts are pub food par excellence, with braised red cabbage and celeriac mash and some of the finest cauliflower cheese in Sheffield. Chicken can be replaced with goat’s cheese wellington or kale and quinoa grill with pan-fried mushrooms. Those who want a light meal should head to The Beer Engine in the evening for a menu of simple but delectable tapas. Try the butternut squash and gingered tomatoes with lime yoghurt – it’s unbeatable. Fans of global dining won’t be able to resist COSMO Authentic World Kitchen, where you can enjoy an all you can eat buffet selection of dishes for as little as £7.99. Lovers of traditional English cuisine can choose succulent roasted lamb, beef and turkey from the carvery with vegetables and fluffy potatoes for a hearty roast. Those with more continental tastes are sure to love Neapolitan pizzas, cooked in a wood-fired oven for luscious smoky flavour, or the succulent olives, cheese and charcuterie at the deli. You can find COSMO on St Paul’s Place in the heart of Sheffield – a convenient pit stop for those exploring the city. And the affordability of COSMO doesn’t stop at the food. They’re also partnered with Q-Park, so ask staff to get a 25% discount on your parking ticket seven days a week. The Rude Shipyard make most of their food in-house and what they don’t is sourced from local independent farmers and bakers. Even their delicious coffee is locally ground, from family business Pollards Roasters, established in 1879. It’s this commitment and care that makes The Rude Shipyard is one of the best places to brunch in Sheffield. It’s hard to resist their delicious full English breakfasts, available in delicious meat, veggie and vegan options. They also sell a range of sandwiches, soups, wraps and salads with homemade hummus, all served with freshly baked sourdough bread. Whatever your diet, there’s something for you. The Rude Shipyard is a cafe and a bookshop in one, with a whole section filled with self-published books by local writers. It’s the perfect place to enjoy a bowl of soup and a book on a cold winter’s day. From traditional meat pies to contemporary hipster brunches, there are plenty of fantastic places to eat in Reading. You’ll be spoilt for choice. Named after the one of the most notorious figures in English legend, Sweeney and Todd’s produces excellent pies that aren’t cannibalistic in the least. This pie shop – one of the oldest restaurants in Reading – is simple and brilliant. More than 20 award winning pie flavours are on sale at affordable prices. Sit in and eat them hot in the cosy restaurant interior or wrap them up and take them away. Traditionalists will be delighted by classic fillings such as steak and kidney, lamb and mint and chicken and leek and vegetarian choices such as cheese and vegetable are equally mouthwatering. Nonetheless, there are plenty of modern innovations such as cajun or chicken, chilli and chorizo for the adventurous. Those with truly traditional tastes will no doubt love the Victorian-inspired steak and oyster or the hearty flavours of venison and boar. The menu also includes a pie called Sweeney’s…the ingredients of which are not disclosed! If you love the tastes of South-East Asia, don’t miss a trip to COSMO Authentic World Kitchen. COSMO elevate the all you can eat world buffet concept – they serve expertly-cooked food from all around the globe from Neapolitan wood fired pizza to Japanese Teppanyaki, but their House of Spice section is truly unmissable. Taste a fragrant curry made with the freshest of ingredients, enjoy side dishes fragrant with saffron, turmeric and cumin and dip fluffy naans into delicate sauces, pickles and chutneys. Workhouse was declared one of the best national caffeine destinations by both the Guardian and the Telegraph – and it’s no wonder. This independent cafe, run by expert Greg Costello, is a haven for bean fiends and the hub of Reading’s thriving speciality coffee scene. The jewel in Workhouse’s caffeine crown is their sweet, strong and full-bodied Guatemalans – the first coffee they sourced and specially recommended by the Guardian Less than 2% of soil on the planet has the correct profile to grow Workhouse Guatemala and the coffee, perfumed by just the right amount of vegetation and volcanic silt, is truly exceptional. And Workhouse isn’t let down by its menu. Their exquisite coffees are complemented by a range of sandwiches and cakes. Make sure you try the sausage rolls. Wholesome, locally sourced food and a comforting atmosphere make Cafe Yolk the ideal pit stop, offering simple, good quality meals for brunch or lunch. Their speciality, toasted sourdough with smashed avocado and salsa with – you guessed it! – a poached egg is delicious. Those with a sweet tooth also have plenty of treats to enjoy. Cafe Yolk serve French toast with a wealth of toppings, from indulgent bacon and maple to the banoffee-inspired banana and salted caramel. There are few better ways to spend a cold winter’s day in Reading than a trip to Cafe Yolk, keeping cosy with a hot caramelised apple and cinnamon waffle and a cup of their excellent coffee. 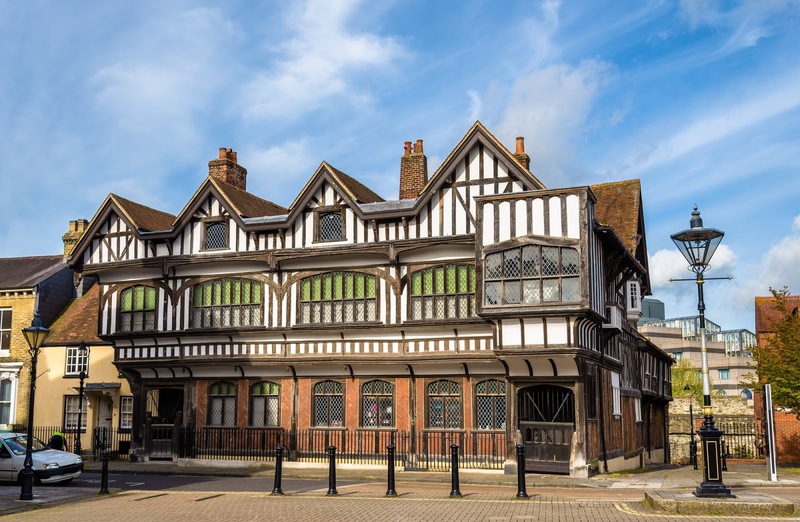 Located in Reading town centre, The Greyfriar of Reading is unmissable for pub lovers. Traditionalists will be delighted by the quintessential English pub atmosphere and the exciting range of classic ales, lager and cider. While The Greyfriar sources its beer from all over the world it’s also the perfect place to drink a local brew, with plenty of independent Berkshire breweries represented on the menu. The Greyfriar is also at the forefront of the gin renaissance and juniper lovers will be truly delighted by the extensive menu. With 35 types of gin permanently in stock and 5 rotating ‘guest’ gins, whether you love perfumed florals, tart citrus or aromatic spice, there’s something here for every palate. Food is served Monday to Friday from midday until 3, making this charming pub the perfect place for a weekday lunch. 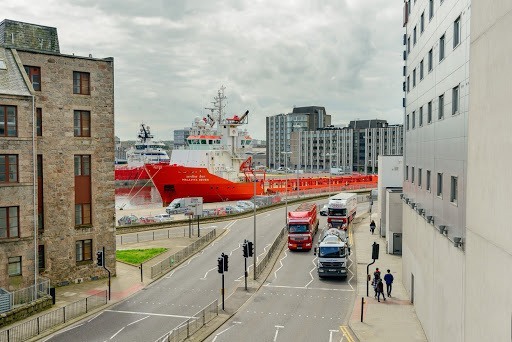 If you’re looking for the best places to eat in Aberdeen, you’ll be spoilt for choice with some of our favourites which should not be missed. Whether you’re new to the city or you’re familiar to the food scene, there’s sure to be something to suit you. With its art-lined walls and beautiful view onto the Green, the trendy Cafe 52 is the perfect place for an affordable meal at any time of the day. If you decide to lunch at Cafe 52, make sure to sample one of their selection of exotic croissant fillings, including goat’s cheese with garlic tomatoes and onion and herb marmalade, and smoked mackerel pate with cucumber and garden salad. The cafe also doubles as a restaurant, with excellent quality mains at just £10 as well as a mouthwatering selection of tapas, cheeses and wines if you’re peckish. The young, teetotal or designated drivers should opt for the homemade strawberry juice. Although the homemade chips are delicious it’s Cafe 52’s parsnips fried in honey and sea salt that are a must-order if you fancy a little something on the side. From the BBQ grill and authentic Japanese teppanyaki to the fruit and cream filled bite-sized patisserie, COSMO Authentic World Kitchen proves that the all you can eat buffet experience can be luxurious. Choose from a wide variety of delicately handcrafted dishes. Sample mussels cooked to perfection; dip crusty homemade bread in perfumed fennel-infused sauces and enjoy a little fizz on the side. Those with Mediterranean tastes can savour cheese boards and charcuterie with bowls of Sicilian nocellara olives and fresh salads. COSMO’s bar is well stocked with wine and soft drinks alike – if you’re looking for the perfect complement to your cheese, you won’t be disappointed. The American-style Angus & Ale offer hungry customers a menu of perfectly executed diner classics including juicy burgers, back ribs and buffalo chicken with chunky sweet potato or rosemary chips. It goes without saying that guests should visit with an empty stomach! All Angus & Ale beef is dry-aged on the bone for 28 days and cooked on charcoal for a rich and smoky flavour. If you’re feeling lavish opt for one of the two and three course bistro deals, which come with a glass of red or white wine on the side. Although this is a carnivore’s paradise, vegetarians will be delighted by the piquant jalapeno and chickpea fritters and the deliciously gooey four cheese macaroni (to which meat eaters can add a array of toppings, including pulled pork, black pudding and brisket). Inspired by the Japanese concept of izakaya – pubs that serve several courses of sharing dishes accompanied by alcohol – Yatai manages to capture the flavour of Japan in the heart of Aberdeen. Although this little independent restaurant has a range of excellent dishes on traditional menus, it also offers guests the chance to dine ‘omakase’ (which translates as ‘trust us’) style – and this is where Yatai really comes into its own. Pre-book a table and tell the restaurant your budget, likes, dislikes, restrictions and intolerances as well as those of your guests. Then you need only arrive and Yatai will serve you with dishes from a tailor-made menu. You can also specially request dishes should you wish to do so. Enjoy soft shell crab, sashimi, spicy gyoza dumplings and bowls of noodles in fragrant broth. Yatai also serve their delicious dishes with a full complement of Japanese drinks, including plum wine, loose leaf sencha and a rotating selection of sake. The buzz is that the restaurant scene in Dublin has never been as good. With the rise of Instagram and travel, a new wave of restaurant owners are combining the need for on-trend dining, new ingredients and new ways of cooking, with local, Irish ingredients and down-to-earth customer service. Whether you are looking for a taster menu or some good food to accompany your pint of Guinness, why not check out our favourites? It’s not all about Guinness in Dublin! If you love good wine then you must pay a visit to Fallon & Byrne. A wine lover’s dream, you can go down to the magnificent wine cellar where you can choose what wine to pair with your food. There are more than 600 wines to choose from. Upstairs there is a sunlit dining room where you can choose from a seasonal menu with tempting morsels such as seared Irish scallops or aged Irish beef finished with a retro Knickerbocker Glory. The Winding Stair offers old-fashioned Irish food in a rather special setting. An 18th Century staircase wraps its way around three floors, with each floor featuring bookcases packed with old books. Classical music plays while you eat. The food tastes as good as it looks, but don’t expect an oversized white plate with tiny morsels in a sculptural design dotted with jus here – the food is hearty and homely. Despite the extraordinary food, this restaurant is down-to-earth and friendly, offering a haven away from the bustling streets or changeable Irish weather. The fact that they call the food ‘homemade grub’ says it all – but it’s doubtful that anyone could make such impressive food at home. On the ground floor you’ll find a beautiful independent bookshop – one of the oldest surviving independent bookshops in Dublin. 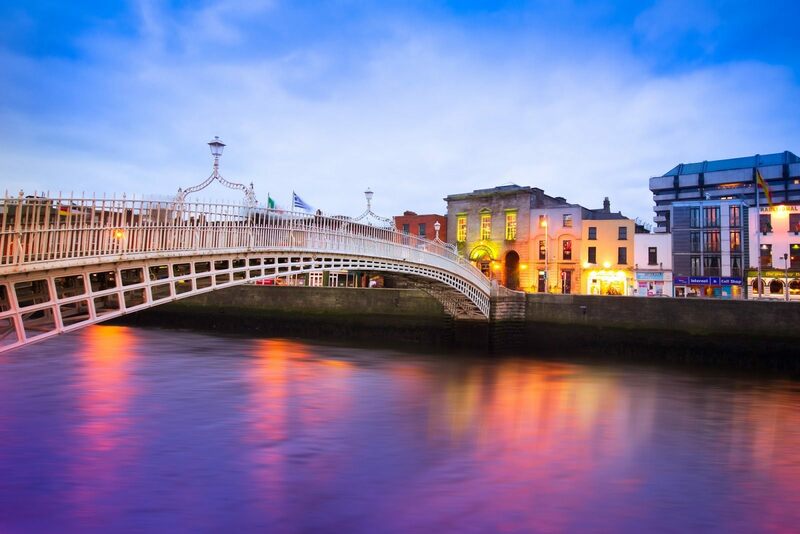 There are so many superb restaurants to try in Dublin, the problem is which one to choose – particularly if you are in a group with various preferences. Let’s face it, too many great places to eat is a rather wonderful problem to have. Long gone are the days of deliberating over what type of food to eat on a Saturday night in Dublin – COSMO Dublin has it all. Not only can you eat Italian, Indian, Chinese or Japanese from an all-you-can-eat buffet at COSMO Dublin, you can also choose from a whole menu of desserts. You can try small squares of puddings from a large selection of chocolate cake, cheesecakes and gateaux and if you have a really sweet tooth head to the chocolate fountain, then choose a few pick and mix sweets. Cavistons is famously one the best seafood restaurants in Dublin, the perfect place to take shelter from the bracing wind on the Dún Laoghaire seafront. Cavistons have 50 years of experience in the seafood business. The chef Noel Cusack chooses the menu twice weekly, but examples include baked Kilmore hake or roast monkfish fillet. The Food Emporium next door is particularly well-regarded for its Irish smoked salmon and offer next day salmon delivery service so you can deliver a treat to friends in Europe and other countries. The Mulberry Garden is situated in the grounds of an old cottage dating from 1911. This restaurant really immerses you in all things Irish – from Irish cutlery, linen, bread boards, and paintings to Irish wool on the walls and soap in the bathroom. The ingredients on the menu are of course all Irish. The menus change every week, however, the tasting menu might include starters such as Wicklow Quail – courgette soup, apple, Hegarty’s cheddar and summer truffle – or a main such as braised lamb neck and sweetbread. This may be fine dining, but this restaurant doesn’t take itself too seriously. This is casual fine dining at its best and is ideal for a special birthday treat or a wedding anniversary. If Irish music is high on your dining adenda when visiting Dublin then head to Darkey Kelly’s bar to enjoy the ‘craic’ every weekend. From a Dublin Mountain burger to homemade seafood chowder and generous fish and chips, the menu even pairs the food with Irish craft beer. There are also around 50 Irish whiskeys to enjoy as an aperitif or nightcap. The lunchtime queues at Tang reflect the popularity of this tiny eco-conscious eatery. Their main aim is for happy, well-fed customers, but second to that is to make as little impact on the environment as possible and to encourage others to do the same. Their biggest speciality are the salads – bright, colourful, flavoursome and surprisingly filling, especially with a Middle Eastern flatbread alongside. They offer these in salad boxes to go, which is handy as seating is limited. You can also opt for a rustic soup in winter. The Restaurant Patrick Guilbaud is the only restaurant in Ireland with two Michelin stars and people flock from all over the world to visit. The menu offers dishes such as ravioli of blue lobster with lobster coconut cream, toasted almond, and split curry dressing, alongside lacquered Skeaghanore duck and desserts such as Opalys chocolate and tropical fruit ‘cocoon’, pina colada sorbet with coconut tapioca. Every dish is bursting with exciting flavours. Northern Ireland is full of great restaurants and rich local produce. Belfast encapsulates the strong food culture and wealth of Northern Irish food specialities with superb produce on the doorstep. Whether you are heading to a traditional Belfast pub or a Michelin starred restaurant, there is something for everyone to enjoy in this fascinating city. Holohans at the Barge has the novelty of being located on the upper deck of a Dutch barge and serves the freshest and most authentic Irish food. This includes the famous ‘boxty’ an Irish potato pancake filled with food. The family business offers traditional Irish hospitality and a warm and friendly atmosphere. The view into the micro-kitchen allows you to see the staff manage a seamless service, producing exquisite food in a small space. Holohans at the Barge is ideal for a romantic dinner date – enjoy your meal looking out on the city’s twinkling lights as they reflect on the water of the River Lagan. For the best fish and chips in town, head to John Long’s, which has been open for business since 1914. This popular chippie – which is hidden away behind a car park with metal mesh grills on the windows which make it look like it is closed – even has many celebrity fans. Molly’s Yard is just a stone’s throw away from Queen’s University so it is an ideal location for a celebratory graduation meal. This restaurant offers fine dining with a friendly, fun and relaxed vibe. Choose from County Antrim dry aged ribeye, whiskey sauce, air dried tomato and chunky chips or Belfast Hills kid goat shoulder, colcannon gnocchi, ratatouille dressing and Belfast blonde jus. The desserts are no afterthought here with Uachter na Mara (Cream of the Sea), rhubarb soup, gingernut biscuit and hazelnut praline or a tasty bag of Abernethy all butter artisan fudge for those with a sweet tooth. The Mourne Seafood Bar is a household name in Northern Ireland. They source all their shellfish from their very own shellfish beds in Carlingford Lough. Their seafood chowder with wheaten bread is a delicious and comforting favourite and the oysters and pan-fried crab claws are also popular dishes. If you want unfussy, affordable seafood, this Belfast institution is the place to come. ‘All you can eat’ buffets have won the hearts and stomachs of students across the UK and COSMO Belfast is no exception. COSMO Belfast offers so much more than the usual Chinese or carvery, because you don’t have to choose a single type of food when there is so much choice available from our all you can eat buffet. Here you can eat sushi, curry or pizza – all at an affordable price – in sleek and stylish surroundings. In fact, COSMO Belfast was voted second place for Best World Buffet in the Food Awards Northern Ireland 2018. COSMO Belfast is the perfect place to go to eat a hearty lunch in between lectures or for dinner before a night out. After a sports match, bring the whole team here to celebrate a win, or bring your rowing team here to carb-load before a race. The Mibrasa charcoal grill is a central feature of Deanes at Queen’s. This bustling brasserie is part of Queen’s University and offers a relaxed atmosphere and world-class food. Chef Chris Fearon- of Great British Menu fame – serves up dishes using local produce. You can choose from whole sea bass cooked over charcoal, grilled coley or butter basted sweet cured pork cutlet, grilled pear and pancetta salad. The desserts are just as flavoursome with warm brown butter almond cake, poached apple and elderflower custard or wild honey panna cotta, banana bread pudding, toffee and pecan fudge. This is also a beautiful venue for wedding receptions, boasting a pretty south facing terrace, adjacent to the Botanical Gardens.